Dave’s Pest Control is here to help with all types of ant infestation problems. 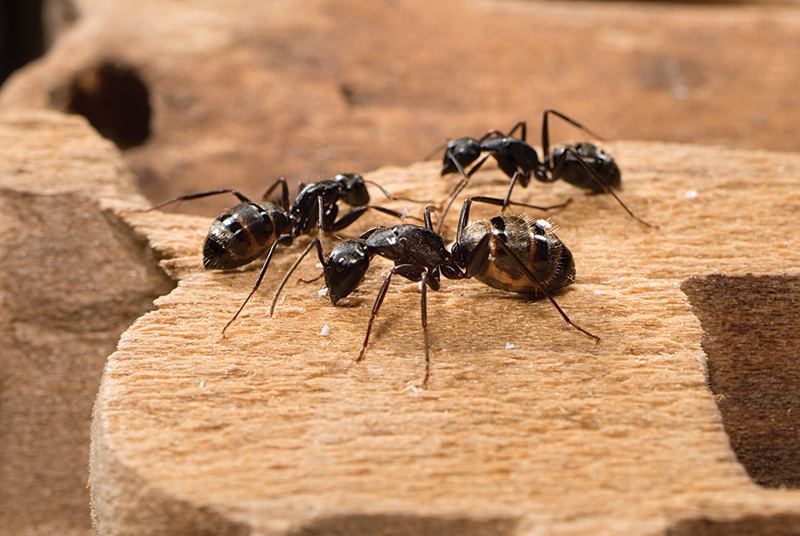 From carpenter ants to pavement ants and all varieties in between, Dave’s will assess the situation and come up with a plan tailored to fit your needs. We’ll also flag areas of concern that could create future problems and provide you with sound advice for resolving them. Contact Dave’s to make an appointment. Ants are social insects. They like hanging out in our kitchens and at picnics and outdoor parties. Yet, these uninvited and unwanted guests are not simply unsightly – they can also be dangerous contaminates to food. When it comes to ant control services, Dave’s Pest Control has the safest and most effective solutions for your home or business. Below are the two most common ants. More than 90% of the homes in the U.S. are wood framed and therefore vulnerable to carpenter ants. Even homes built of masonry and steel serve up delicious wood treats and places for these pests to live. Left unchecked, carpenter ants systematically destroy homes and the valuable wood objects in them. The result? Carpenter ants cost homeowners billions of dollars each year, yet most homeowners policies do not cover carpenter ant damage. Fortunately, Dave’s Pest Control can help at the first sign of intrusion. The pavement ants are one of the most common small ants invading homes and businesses throughout Massachusetts, Northern Rhode Island, and Northern Connecticut. These ants readily make trails to and from food sources and often forage along the edge of carpeting or baseboards. They are also common around the base of toilets. If you are dealing with unwanted ants, call Dave’s Pest Control today to begin the removal process now.